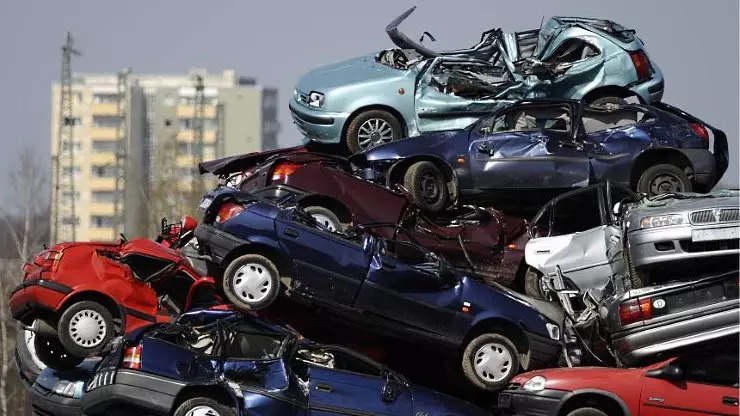 In one of his latest statements, Union Minister Nitin Gadkari has said that India will soon have a definite policy on the scrapping of vehicles that are more than 15 years old. The aim of bringing this policy is to curb the menace of rising vehicular pollution in the country. So, basically, all the vehicles that are more than 15 years old will be scrapped. More details on this are awaited at the moment. Gadkari went on to add that India will soon become a hub for the automobile industry and hence, prices of new vehicles are bound to come down if the scrap metal can be used for the production of various automobile components. “Raw material for vehicles will be cheap … plastic, rubber, aluminium and copper – all generated from scrap will be used for auto parts generation besides other things,” the union minister said. Last year, the Road Transport and Highway Ministry had issued a concept note on Voluntary Vehicle Fleet Modernisation Programme (V-VMP) to the Committee of Secretaries. This note talked about the creation of an ecosystem wherein voluntary scrapping and replacement of old vehicles was proposed. The V-VMP policy proposes scraping of as many as 28-million vehicles! The ministry has already proposed a relief of Rs 5 lakh to those who surrender their old commercial vehicles to buy a new one for Rs 15 lakh and above. Gadkari estimates that if accepted, his proposal can result in tax revenue of as much as Rs 10,000 crore. Mahindra Intertrade Ltd, a part of the Mahindra Group, has already partnered with MSTC to come up with the country’s first greenfield auto-shredding and recycling plant. Under this joint venture, the company plans to come up with a group of such plants, spread across the country. The first of these auto-shredding facilities is likely to be ready in a few months from now. While the advantages arising out of this policy are highly debatable, we are pretty sure that many car enthusiasts will hate to let go of their well-maintained vehicles that are over 15 years old. We, at Cartoq, believe that the Government needs to allow old cars whose emissions are under legal limits to remain road-worthy. What are your thoughts on this?